Case Studies | Where the money goes! The opportunity arose to provide a specific service where veterans can share military experiences and dementia support can be made available for ex-service men and women living with dementia. The funding came from Plymouth Drake Foundation’s endowment fund of which the Royal British Legion hold a named fund. The Alzheimer’s society came together with Plymouth Drake Foundation and promptly set up the first ex-servicemen memory cafe in the country. The Royal Navy are also keen supporters with volunteers turning up at every meeting. This cafe serves multiple purposes which include: reducing social isolation by providing a regular meeting place for people living with dementia and their carers, a place where support and information about dementia can be shared and a chance to participate in discussion and activities and have an enjoyable afternoon. The session’s help people with dementia communicate, help to improve their mood and leave them feeling good about themselves. The cafe continues to meet every other Tuesday at Crownhill Family centre giving military veterans and their carers the chance to socialise and receive much needed support. Purpose - Plymouth Music Zone were awarded £2,500 and their ‘UpBeat’ project will deliver creative music-making sessions to children of Forces’ Families, including Royal Navy/Royal Marines. ‘UpBeat’ will deliver children’s group sessions as well as offering inter-generational sessions with their parents and/or other family members, helping to build relationships, confidence, self-esteem and resilience to their circumstances. Purpose - The project gave former Naval Service personnel who are now suffering with dementia, their partners and families the chance to enjoy quality time together watching a film. Research carried out by Age UK highlighted that what many couples want is not respite, but a return to normality – important for their continuing relationship. The Youth Hardship Fund (YHF) was set up in partnership between Plymouth Drake Foundation and The Zone Plymouth. The YHF was set up in 2012 to support young people in Plymouth to help them avoid financial crisis. The average grant is just £19, but this has a massive impact. A young male aged 24 cannot afford to pay for his electric and he is worried his fridge and freezer will defrost leaving him and his daughter unable to eat. The Zone awarded the individual with a £10 grant so that he can afford to light his home and cook his food until he receives his next payment. This young person was also given a food bank voucher. A young female aged 20 could no longer afford her prescriptions due to housing costs and benefit delays. She was awarded £40.25 as well as being supported by a care coordinator and welfare officer to look at budgeting and maximising benefits. A young male aged 20 was unable to find accomodation. He was awarded £35.00 to stay in a Bed & Breakfast so that he could sleep safely and not on the streets. A young female aged 18 had her benefits payment stolen and was in a terrible state. She was unable to pay for electricity, gas and food. She was awarded £5 and is now also working with the ZAP team at the Zone. A young female aged 17 is homeless and is 'sofa surfing' with family and friends when she can. She has no income and has not eaten for 24 hours. The Zone awarded £5 so that she can eat and make phone calls to sort out her accommodation situation. 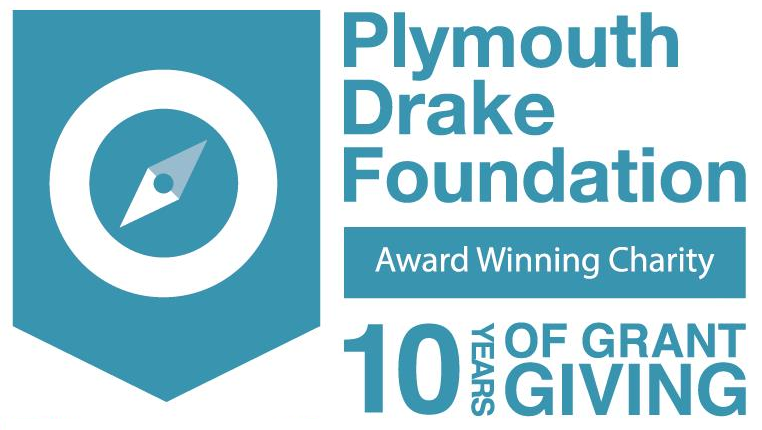 The Zone and Plymouth Drake Foundation continue to monitor the fund so that each young person receives after care so that they can avoid future crisis. In the first year of launching this fund was awarded £11,500 to 70 community organisation. Grants ranged from £30 - £200 and enabled Grassroot organisations to train their volunteers, staff and trustees. This is vital for the groups to become more self sufficient and provide people with personal development opportunities.